Greetings again from the darkness. 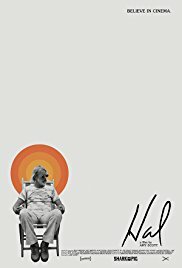 There may never have been a director with a comparable streak of 6 films in terms of quality and variety as Hal Ashby delivered between 1971 and 1979. At least 4 of those films would be included on a list of my all-time favorites. Ashby was a maverick filmmaker during an era when filmmaking style and tone shifted, and he was at least partially responsible for some of that change. Amy Scott (fittingly trained as a film editor) chose to make Ashby the subject of her directorial debut, and we can only assume her admiration for his work and curiosity about his later career was her inspiration. HAROLD AND MAUDE (1971), THE LAST DETAIL (1973), SHAMPOO (1975), BOUND FOR GLORY (1976), COMING HOME (Best director nomination, 1978), and BEING THERE (1979) are the films that comprise the aforementioned “streak”, and are also the projects that afforded Ashby the opportunity to work with such industry talents as writers Robert Towne, Jerzy Kosinski, and Waldo Salt; cinematographers Haskell Wexler, Michael Chapman, and Caleb Deschanel; and actors such as Ruth Gordon, Jack Nicholson, Warren Beatty, Lee Grant, Jon Voight, Jane Fonda, Shirley MacLaine, Melvyn Douglas, and Peter Sellers. All of these folks contributed to the edge in independent filmmaking that arose in the 70’s. Director Scott works diligently to paint a full portrait of Ashby the man, so that we might better understand the odd career arc. A challenging early family life pushed him to grow up too fast, and with 5 marriages balanced by 5 divorces, it’s likely that Ashby was never destined to be a settled down family man. His drug addictions served to undermine what was already his difficult and demanding style on set, and his trademark look of long scraggily hair and unkempt beard ensured he was never mistaken for an industry insider. Much of what we learn comes from the voice of Ashby himself, courtesy of audio tapes. Other insights and remembrances come from interviews with: Judd Apatow, Rosanna Arquette, Jeff Bridges, Beau Bridges, Lisa Cholodenko, Caleb Deschanel, Jane Fonda, Lou Gossett, Lee Grant, Dustin Hoffman, Alexander Payne, David O Russell, Cat Stevens, Jon Voight, and Haskell Wexler. We also hear from legendary director Norman Jewison, who gave Ashby his first job as film editor. Ashby later won an Oscar for Best Editor on Jewison’s IN THE HEAT OF THE NIGHT (1967) … and the clip shown of him accepting the award highlights a man who barely resembles the man we would come to recognize over the next few years. We learn that his ever-present battle with studio executives likely led to his not getting the opportunity to direct TOOTSIE, and more importantly to me, we get an explanation of what happened to Ashby’s 8 MILLION WAYS TO DIE (1986) – a film I always thought was oh-so-close to being a great 80’s movie, but instead was a bit of a mess. And now we know why. There may not be a more revered and respected filmmaker and influencer of other filmmakers … certainly not one who is less discussed. Ashby’s BEING THERE ranks with the very best political satires of all-time (yes, even DR STRANGELOVE OR: HOW I LEARNED TO STOP WORRYING AND LOVE THE BOMB), and few could juggle comedy and drama any better. Hal Ashby died from cancer in 1988 at age 59. Was it his uncompromising manner or was it the effects of drugs that brought his career to a halt, and prevented him from achieving the blockbuster status of his peers Coppola, Scorsese, and Spielberg? We’d like to think it’s the age old ‘art vs. commerce’ argument, but that simply doesn’t hold up. Regardless, for a few years, no one did it better than Hal Ashby, and he did it his way.